Where to Buy Decree Fungicide, Decree 50 WDG Fungicide - 2.5 Lb - $266.95 for Sale with Fast Free Shipping! 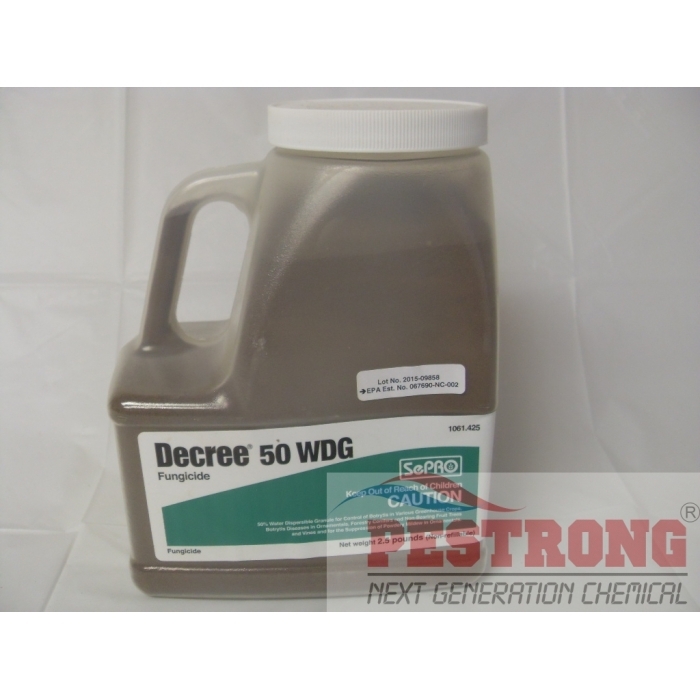 Decree 50 WDG Fungicide - 2.5 Lb is a hydroxyanilide protectant fungicide used for the control of Gray mold (Botrytis cinerea) on various greenhouse vegetables and for control of Gray mold or Botrytis blights (Botrytis cinerea, Botrytis elliptica and Botrytis tullpae) on ornamental crops, forestry conifers and non-bearing fruit trees and vines. Mode of action: Decree is characterized by protective and curative action with residual activity against Botrytis cinerea in ornamentals. Decree seems to be a single-site inhibitor with a very specific biochemical mode of action. Great fungicide to use in my greenhouse! It works great to kill and prevent the growth of the most common types of molds that occur in greenhouses. I was looking for a new fungicide with a different chemical to replace one of the two I was using at the time. I was using Scala before, but it's recommended pretty much for only tomatoes so it wasn't getting the job done. I found this and tried it and it works wonderfully on all of my crops.